SurvOPT is the ultimate marine seismic project planning, optimizing and costing tool, letting you examine the effect of survey design changes in near real time. As well as finding efficient shooting plans and accurate completion estimates, SurvOPT seismic survey design software can compare vessel configurations side by side, explore different costing models and can analyse the affect of almost any parameter change. On the vessel, SurvOPT provides acquisition plans that optimize acquisition time while minimizing non productive line change time. With support for obstructions, timesharing, currents, tides, priority areas, maintenance, crew changes, circles, port calls and weather downtime there is no scenario that the patented optimization engine can’t handle. SurvOPT even lets you specify feather requirements on individual lines and will optimise line scheduling around them, putting you on the right line at the right time without unnecessary delays. Develop comprehensive marine seismic survey plans including costing and statistics. Quickly search millions of possible plans to find the most favourable options. Import preplots in a range of compatible formats including P1-90 and textfiles. Save detailed reports in PDF format that can be used to justify decisions. Model tide, current and feather data and factor this information into survey plans. Model obstruction avoidance into survey plans. Factor in port calls and other rendezvous. 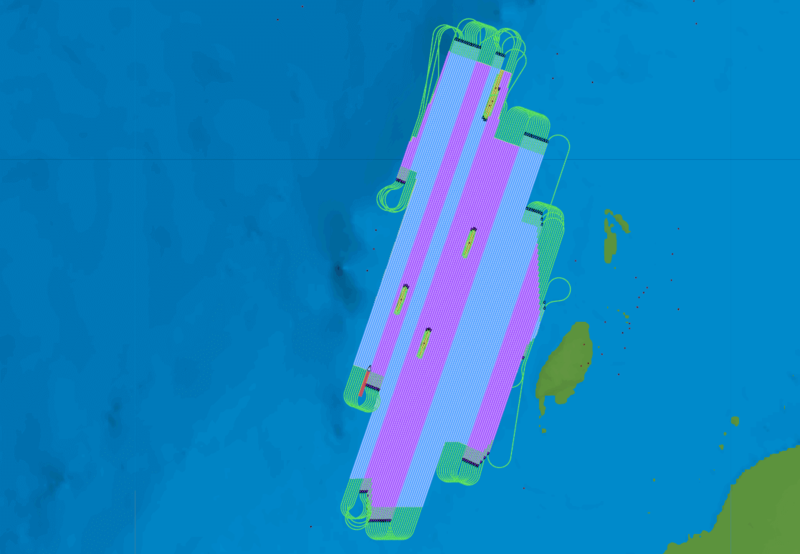 Preview vessel location, activity details and conditions at any time within the survey period.